With 2016 knocking on the door, there’s just about enough time to look at some of the best smartphones of the year. While we saw lots of new devices across the premium and mid-range categories, only the most notable make it into our year end roundup. So, in no particular order, these are some of the best smartphones launched this year. The Huawei-made 6P fared well in our review, despite having a pretty large 5.7-inch display. That makes it mostly unsuitable for people with diminutive hands, but anyone comfortable with the idea of a Galaxy Note or iPhone 6S Plus won’t be uncomfortable with the size. Hardware-wise the 6P packs in a 2.0GHz octa-core processor, 3GB RAM, 5.7-inch WQHD (2,560 x 1,440 pixels, 518 PPI) AMOLED display, 12.3-megapixel camera with 4K capture and a fingerprint sensor on the rear. In addition to delivering a hardware package that results in smooth and assuring user experience, the 6P was also one of the first phones to arrive running Android 6 (Marshmallow) out of the box. For the overall performance, the handset sure does offer a lot for $500. That’s for the 32GB model, rising to $550 for the 64GB and $600 for the 128GB version. The equivalent iPhone for the highest capacity model would cost $949 and offer a smaller screen with a lower resolution. The 6P isn’t cheap but it’s certainly not expensive either, considering its performance. As long as you’re happy with its mammoth size. The BlackBerry Priv is one of the more recent ‘premium’ smartphone launches to make this list, arriving in November after numerous leaks along the way. 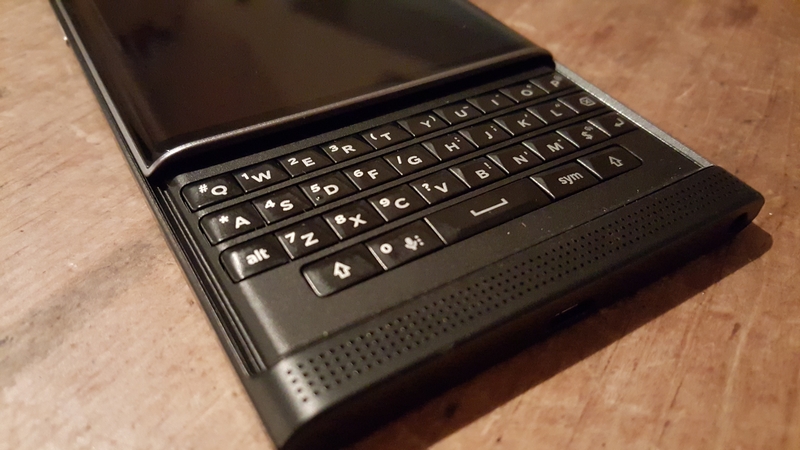 Despite struggling to regain its footing in recent years, the Priv was surprisingly pleasing to use. With an unusual vertical slider design and the company’s trademark physical Qwerty in tow, it’s an Android phone that stands out in a sea of ‘me-too’ devices. Hardware wise it has a 5.4-inch (2,560 x 1,440 pixels, 540PPI) Corning Gorilla Glass 4 display, Schneider-Kreuznac certified 18-megapixel camera, 64-bit hexa-core processor, 3GB RAM, microSD support for cards up to 2TB and 32GB of onboard storage. Beyond its hardware essentials, the Priv delivers a version of Android that actually manages to improve on the core experience with useful features and shortcuts, rather than gimmicks. We might not have expected it at the start of the year, but the Priv was one of the most surprising handsets to launch in 2015. Samsung’s Galaxy S6 Edge is virtually identical to the regular ol’ S6 model, so if you want a cheaper version with the same spec list, go for that instead. If, however, you want one of the best looking phones on the market, it’s hard to deny the Edge’s appeal. And if you wanted a Note 5 (another excellent option, though pricey) but live in the UK, that’s not an option anyway, so an Edge+ is as close as you’ll get. For its decidedly premium price tag, the S6 Edge delivers a 5.1-inch quad HD display (2,560 x 1,440 pixels, 577 PPI), octa-core processor and a 16-megapixel camera. It measures 142.1 x 70.5 x 7.0mm and weighs 132 grams. On the software side of things, it offers up some Samsung-specific apps and services, like an improved S Health – and it also integrates a fingerprint sensor and heart rate scanner. The camera performs pretty admirably too. Despite question marks over the endurance of the phone in the longer-term, particularly around battery life (as it’s non-removable), if you don’t run into problems, what the S6 delivers is a fairly unique, premium design handset with enough power to keep things ticking smoothly when multi-tasking. And if you like the sound of most of this, but want it for about $100 cheaper and a dash less style, there’s the plain S6 version to consider. It might not be the most novel choice on the list, but it’s a solid one. Motorola is the only manufacturer to have two separate entries in this roundup, and the Droid Turbo 2 really makes it on for one reason alone: its incredible shatter-proof screen. You will need to be a Verizon customer to buy one though. Try as we might, we didn’t actually manage to break the display, though by the end of the testing the corner casings of the phone were coming apart. Aside of its ridiculously resilient 5.4-inch Quad HD (2,560 x 1,440 pixels, 540PPI) AMOLED panel, the Turbo 2 offers a 21-megapixel camera, 2.0GHz octa-core processor, 3GB RAM and 32GB/64GB of internal storage. It’ll also support microSD cards up to a whopping 2TB, so plenty of storage for your selfies and music collection. The downside of its impressive spec list is the retail price, which starts at $624 depending on your choice of finish on the rear panel via Moto Maker and your internal storage. The 64GB model starts from $720. It’s not going to be for everyone, but if you want one of the toughest screens on the market, the Droid Turbo 2 is a no-brainer for Verizon subscribers. The LG G4 feels like it arrived so long ago that it can’t have happened in 2015, but it did – and it’s still a great handset for Android power users who are happy to shell out for a premium handset. Announced in April and going on sale in May, the G4 took pretty much the same chassis as the G3 but refined some of the user experience and upgraded the hardware. Its design is probably one of the most notable parts of the G4 – it keeps the same curved chassis as its predecessors, which is one that makes it easy to hold and harder to drop. On the downside, it also means that the G4 isn’t the slimmest handset of the bunch and its width will be uncomfortable for some. It is one of the few to offer a removable battery, microSD support and a few other options (like microSD expansion) that power users might appreciate. If you like the curved chassis of the G4, but don’t fancy the premium price tag, then the OnePlus Two is similar in appearance and will make a much smaller dent in your bank account. Yes, it’s not the most inspiring of designs – or even handsets overall – but the bang for your buck is pretty undeniable. For $329 (£239) you get 32/64GB of onboard storage, a 5.5-inch (1080p, 401PPI) display, 4GB RAM, 1.8GHz Qualcomm Octa-Core Snapdragon 810 processor and a 13-megapixel rear-facing camera. On the software side of things, the OnePlus 2 runs its own custom OxygenOS, based on Android. This means you get a whole lot of familiarity, with a few additional OnePlus tweaks. While some will argue that running CyanogenMod produces a better user experience, OnePlus’ OS is nothing to complain about really – it just needs a little time to mature. For a mostly power-user oriented device, the decision to lock in the battery rather than providing a removable option is a bit of a perplexing one. Nonetheless, if you care about specs and don’t want to pay for a high-end premium device, then the OnePlus 2 is one of the more moderately priced devices available. In many ways, the Fairphone 2 is perhaps one of the dullest looking handsets on this list. It’s not particularly cheap, it doesn’t look that notable and the specs are decidedly mid-range for its price tag. However, it’s the only the device on the list where its manufacturer has taken an ethical approach to the way the handset is made, and it’s the first modular phone to make it to market, having started shipping to backers earlier this month. In short, if you want a modular smartphone that’s upgradeable for the future, and could therefore last you years, then the Fairphone 2 is the only game in town. If you want to be able to disassemble and reassemble your smartphone and have a reasonable expectation of it working again, the Fairphone 2 is one you want to check out. Spec-wise you get a 5-inch full HD display, 8-megapixel rear camera, 32GB of storage, 2GB RAM and a 2.2GHz Qualcomm chipset. On the software side of things, it arrives running Android 5.1 but the company says it will roll out a Marshmallow build in the future. It’s certainly not going to blow you away on paper, but then that isn’t why you’d buy a Fairphone anyway. The Fairphone 2 is currently available to order in Europe at the not-inconsiderable and very specific price of €529.38 (around $580). As the only non-Android entry in this list, it’s hard not to mention the iPhone 6s and 6s Plus in a list of the best phones of the year. As one of the world’s enduringly popular smartphone lines, the devices offer a similar user experience, depending on your screen size preference. Slim, light, beautifully designed and certainly not cheap – you know what’s in store for you with an iPhone and iOS 9, which brought a number of smart upgrades for the latest handsets. As the most likely choice of upgrade for an existing iPhone owner, the only real question (if you want an iPhone) is which one to buy. 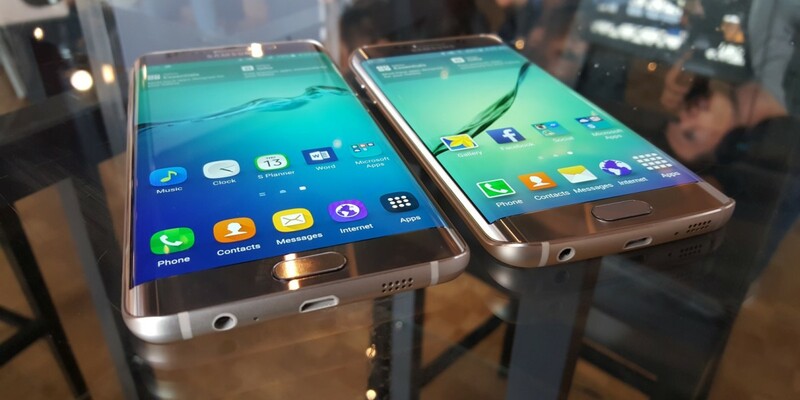 They both look pretty similar, and the screen sizes remain at 4.7-inches or 5.5-inches – just like the 6 and 6 Plus. It’s worth bearing in mind that if you want the larger version, you’ll need to be happy with its 78mm width. Despite its girth, the Plus isn’t too much thicker than the 6S (7.3mm vs 7.1mm), though it is nearly 50 grams heavier at 192 grams versus 143 grams. If battery life is a concern for you, then the larger 6S Plus will let you go longer between charges, despite offering a smaller pack than last year’s models on paper. Either way, heavy users are going to need to charge every day, regardless of which model you choose. Both also have the same processor and RAM, and while differ in specs for the display, offer a similar performance. While Apple phones are popular, they’re not cheap – the 6S starts from $649 for the 16GB version, rising to $849 for the 128GB model. The 6S Plus starts from $749 and rises to $949. Which one you go for probably depends on the size of your hands and what you’re going to use it for – if you’re planning on watching a lot of TV or movies, go for the 6S Plus for the larger screen and better battery life. The Moto X Style (known as the Pure Edition in some regions) isn’t waterproof like its budget counterpart, the Moto G (2015) but if you’re into highly modifiable finishes for your device, Motorola has been tending to your whims for the last few years now – and the Style is no different, coming in a range of different colors and materials on the rear. While it’s nothing like as large as the Nexus 6P, it’s no shrinking violet either, offering up a 1.8GHz hexa-core processor, 3GB RAM, 16GB of internal storage and a 21-megapixel snapper on the rear. The 3,000mAh battery isn’t ‘best in class’ but the turbo charging mode that can give you up to 10 hours of use in 15 minutes of charging can get you out of a bind, as long as you can find somewhere to plug in. This year’s Moto X also saw a marked improvement in the camera, responding quicker and taking brighter photos than its predecessor. One of the best parts about the Moto X is the price tag – $399 for the 16GB model, which makes it slightly more expensive than direct rivals like the OnePlus 2. That said, you’ve probably heard of Motorola, whereas there’s a good chance the average person wouldn’t have a clue what you were talking about if you mentioned OnePlus. That will carry a lot of weight with some potential buyers, and as such the Moto X is a good alternative contender in the category. If you hadn’t noticed, there’s no Windows devices in this list. There are two reasons for this. The first is that we’ve only included handsets we’ve actually tried and there hasn’t been any particularly notable Windows Phone devices sent our way – the 950XL would be a contender for the list, if we had. The second reason is that 2015 has been a period of transition for Windows with the release of Windows 10 and the move towards Continuum. Hopefully 2016’s roundup will have a stronger showing from Microsoft.